Hi Tony, welcome to the forum that looks like a cracking fe. Welcome Tony that VF looks very nice! Beautiful, I’m hoping to find one exactly like that, had one back in 84. 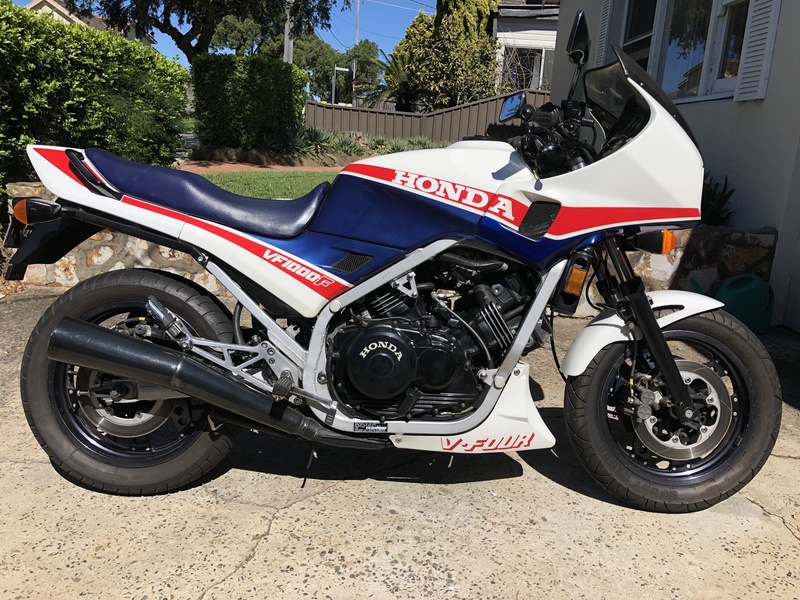 Hi Tony, What a fabulous looking VF1000! My Favourite bodywork and looking remarkably un molested from stock!! Congrats! I see the drill and tap of the main oil gallery top end oiling mod and a rear end lift.What shock are you using on the FE? Don’t know the oil galleries were modified so the cams would get extra oil before I bought it. The rear shock is a wilbers.